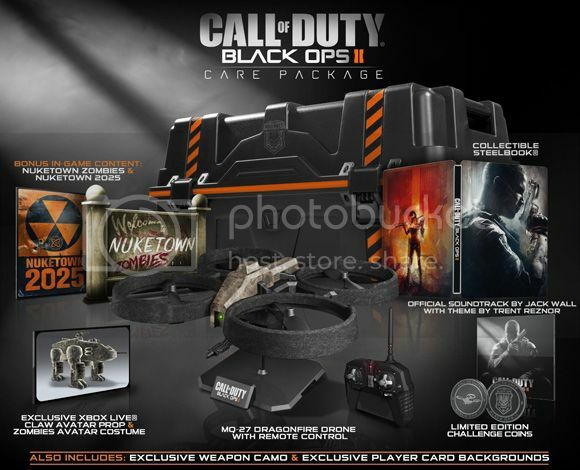 Haven't really played a minute of Call of Duty: Black Ops II but if I did I'd probably gab me one of these collectible care packs for the PS3 or Xbox360. I don't know what a care pack is but I'm assuming it's something I can find in the game that would actually... err... "care" for me? If you have USD 180 lying around the house doing nothing you can go ahead and check the source link to get more information about getting this to your door when it gets released this November 2012.